Happy 35th Birthday to Apple! Apple turns 35 years old today! The company was created on April 1, 1976 by Steve Jobs, Steve Wozniak, and Ronald Wayne, it was based out of Steve Jobs parents garage, and their first product was the Apple I encased in wood that you can see above. 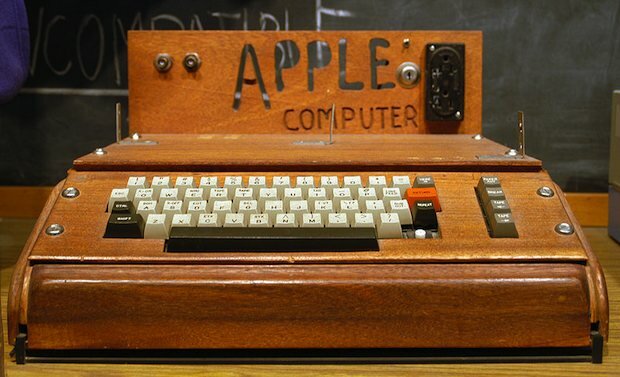 Yea, that’s not an April fools joke, the first Apple computer was made out of wood. Don’t miss the original Apple logo in the corner, it looks like the cover of a Lord of the Rings novel and featured Isaac Newton under a tree. You can read some more history of the Apple I and Apple Inc at http://en.wikipedia.org/wiki/Apple_I”>Wikipedia. I want a woody Mac! The wooden case is some user’s addon. The original Apple 1 was just a board. No keyboard, no case.